Hailing from Baltimore, The Last Year is an alternative rock band. The act stems from an idea of front-girl Niki Barr, on vocals, and Scott Ensign, playing bass and synth. The pair, complemented by drummer, BJ Kerwin, and guitarist, Scott Griffith, approach their music with diverse influences, ranging from the hook heavy hits of The Cars to the spacey, hypnotic sounds of the late 80’s to early 90’s acts, like The Cure and Portishead. The band has managed to mix retro influences with modern appeal and it’s magical. Having toured over 30 countries on three continents, The Last Year is no stranger to the stage. Guided by Barr’s coy, airy, yet powerful melodies and slinky body language, blended with the band’s array of synth growls, driving rhythm and swirling guitar sounds, the show is a spectacle and a must-see. The Last Year teamed up with Shanachie Entertainment to release their debut EP, which was described as “limitless” with “everything from buzz saw synth to airy atmospheric ambience to 80s drum sequence loops”. The EP was warmly received by fans and critics alike, especially its lead single “Sugar”, a tune that bridges the gap between The Smiths and the infectious, radio-friendly indie rock hooks of bands like Metric; spicing it all up with female leading vocals that wouldn’t feel out of place on a Garbage record. Under the previous direction of CO 5 Music, “Sugar” was spun at more than 14 radio stations, including SiriusXM’s Alt Nation, WWDC 101, WLUM, KWSS, WWWX and many more, across the U.S. and is continuously being added to alternative and rock stations with each and every performance. 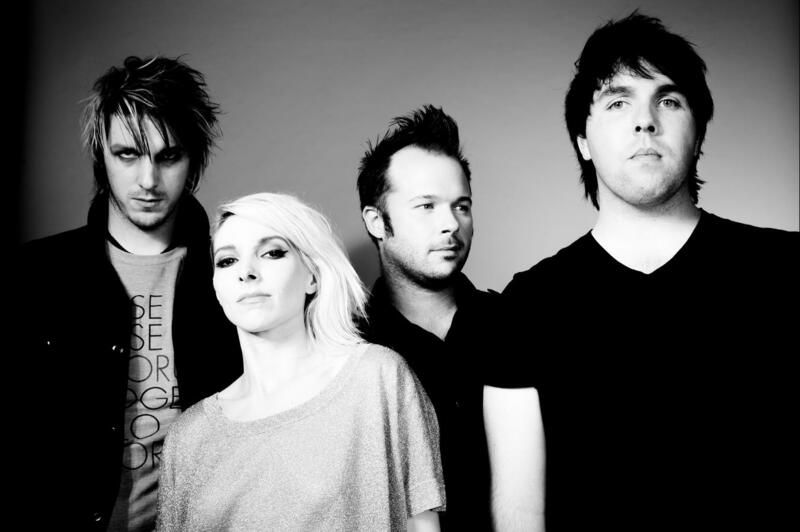 The band spent 2014 building a national following, supporting acts like Phantogram, Tove Lo, Nico Vega, Paramore, SomeKindaWonderful, Ben Kenney, Semi Precious Weapons, and Neon Hitch. The band will hit the road this spring to play Austin’s legendary SXSW, followed by an extensive tour as supporting act for Sick of Sarah.